Many factors can influence the outcome of an IT project; two of the most important determinants are upfront planning and estimation. Yet, these are often challenging for many companies. 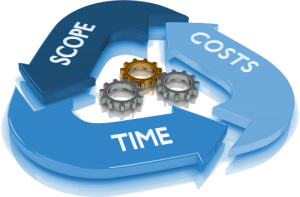 As the success of any software project largely depends on effective estimation of project effort, time, and cost. Estimation helps in setting realistic targets for completing a project. IQMS Software Estimation training helps to the trainees to perform the estimation process through the effective techniques which produces the actual man days as well costs of the module/deliverable of the project. IQMS delivers the software estimation training by trainers having the rich experiences of the software organizations and industries. Good software estimation and planning goes beyond tools, techniques and processes. It’s also about the right attitude, understanding and mutual expectations – not just from the software developers but also from senior management. IQMS software estimation training helps to clients to understand that what can be done, what has been done, and what is being put before us, we can successfully plan projects to make them more predictable. The benefits of the IQMS Software estimation training is to provide trainees a broad understanding of this estimation tools and methods commonly used in software industry and experience in successfully using estimation methods within their own organization context. There Participants will experience the benefit of using a disciplined, repeatable approach to estimating that is data driven.